Beautiful views are the centerpiece of this Red Mountain home in Aspen. 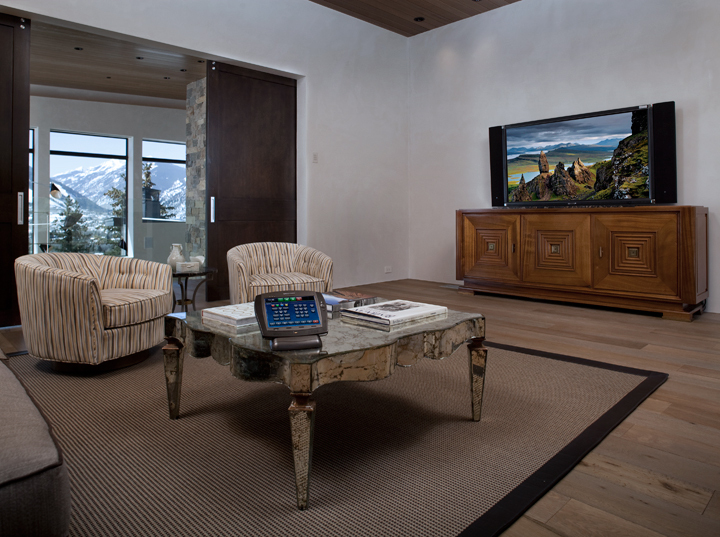 The home is controlled by a fully integrated Crestron system. The versatile design of the media room makes the most of a multi-use space, allowing for a private cinema with the pocket barn doors closed and a sitting room with picturesque views of the ski area with the doors open.